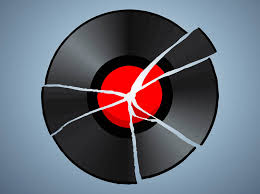 It’s starting to sound like a broken record. How many people have said that we need to promote “professionalism” in real estate? I’m perhaps a little guilty of it too, in fact it’s one of the reasons why I write this blog. I figure that if I write about mistakes some agents make, other agents might learn about the right way to work. I blog my meeting topics out and encourage other managers to engage their agents the way I hope I engage with mine. Trust me, it hasn’t come easily but blogging has definitely helped me be a better manager and Realtor. But (and there’s always a “but”) I propose that we stop talking about professionalism in real estate and start thinking about real estate as a profession. When we choose to believe that this is an skilled, caring, ethical and honest way to make a living, professionalism just kinda comes along for the ride. It’s a small tweek in thinking but a powerful one. I think most would agree that we are fighting a losing battle trying to teach professionalism in an industry that has low barriers to entry. Sure, RECO, our governing body, has increased minimum education requirements for people wanting to take the courses, but more could be done. Last year RECO replaced the continuing education credit system with a 6 hour online update course along with two elective online courses. I get their logic. In fact I would be the first to agree that the 24 credit education system had its flaws. Do we need to study Feng Shui and different roof styles? Will that make us better Realtors? Does this help in consumer protection? Because, make no mistake, that’s what RECO is all about…looking after the consumer. A RECO-administered update at least keeps the content relevant and consistent and online learning is the way of the future. I’m just not convinced this was the right answer. It is, after all, a system that could be corrupted and abused. Currently The Ontario Real Estate Association or OREA is the entity that delivers the real estate education program in Ontario on behalf of RECO. That course content, which took years to develop and fine tune, is owned by RECO as a result of a previous transfer from OREA. I believe that at some point RECO has designs on administering the courses directly. Some agents might think that might be a good thing as much of OREA’s income is generated by education. No more OREA would save us in dues, but I’m worried about what could happen next. RECO was established under the Real Estate and Business Brokers Act to, first and foremost, protect the public, but their acts of simplifying the process could have the opposite effect. In a time when the real estate transaction is getting more complicated, does it really make sense to make the courses easier and faster? It’s no surprise the Toronto Real Estate Board has nearly 40,000 members. I’m concerned for our industry and while I don’t want to sound the alarm bells I believe it is important for real estate boards across Ontario to stop talking about professionalism and start promoting real estate as a profession. If doctors, lawyers, plumbers and mechanics take years to get their ticket, why aren’t we? Third party educators of additional accreditations like the ABR, SRS, SRES, ePRO have helped but I would also ask why prospective agents aren’t given standard aptitude tests before beginning the programs? Here’s the other problem…when you talk to good, successful agents they say, either charge Realtors $5,000 a year to keep their memberships or have a minimum sales standard. In theory, that’s not a bad idea but real estate boards across the country, survive on membership. Think of it as belonging to a gym. The more members you have the cheaper the dues. As far as a minimum number of transactions…well I’m sure the Ministry of Labour would have something to say about that. Thinking about real estate as a profession starts with a solid educational base. Let’s start by turning the licensing program into a three year curriculum where students need to get passing grades to move ahead. Let’s encourage designations, and solid in-class learning. Least we forget that this is an industry full of entrepreneurs. Brokers should be encouraged to provide more training and serious career counseling. As a two-time past education committee member I believe OREA is the best organization to deliver a college level real estate program. As for me, I hope to continue to promote education, OREA and the real estate profession through my blog and in my role as director at the Toronto Real Estate Board. Interesting idea. I both agree and disagree with you. What about making new realtors have an apprentice period, where they have to work with an experienced realtor for, say, a year before they can get their “full” license? I’ve often thought it was crazy to loose new realtors on the market with some basic “book learning” and no real world experience or training. I certainly agree with your points, but I believe that in addition to increased licensing education requirements in the future, the way best way to achieve the goal of real estate being seen as a profession will ultimately be best accomplished by treating it as one. I don’t know many part-time lawyers, doctors, plumbers or mechanics but the real estate profession is rife with part time real estate agents. Increasing Board dues is certainly one option. TREB membership has increased by close to 10,000 members in the last 5 years. That’s almost $5,000,000 per year in additional membership revenue. I don’t see how increasing dues so that only those who intend to engage in real estate as a profession remain members would necessarily affect the board, as revenue would very likely remain neutral but the quality of membership would go up. If we are to truly promote real estate as the profession that I believe it is, then steps must be taken to not only change the way new licensees join us in the future but to reform the membership we have now.